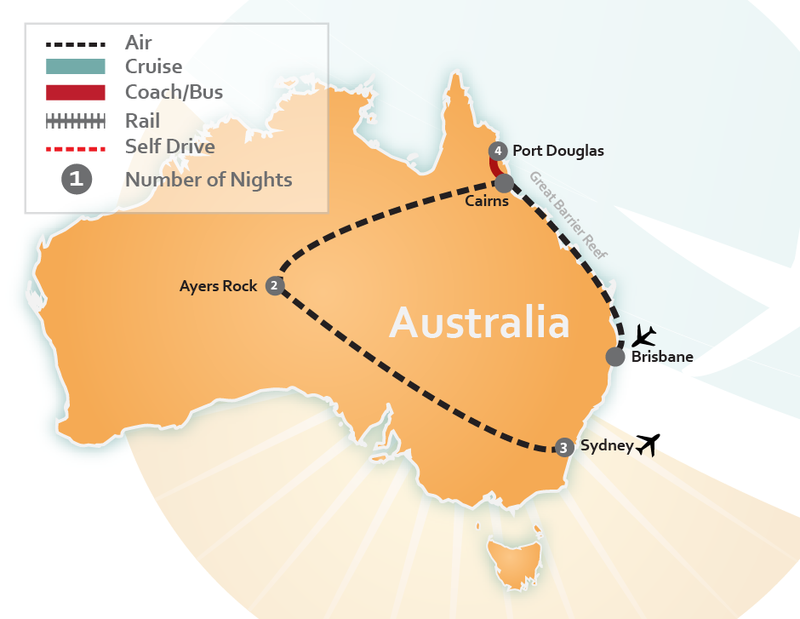 We customize Australian Vacation packages for people like you every day! People from all over the world choose our Australia vacations to capture the Aussie essence of our vast continent – a land of drastic contrasts and wonders. 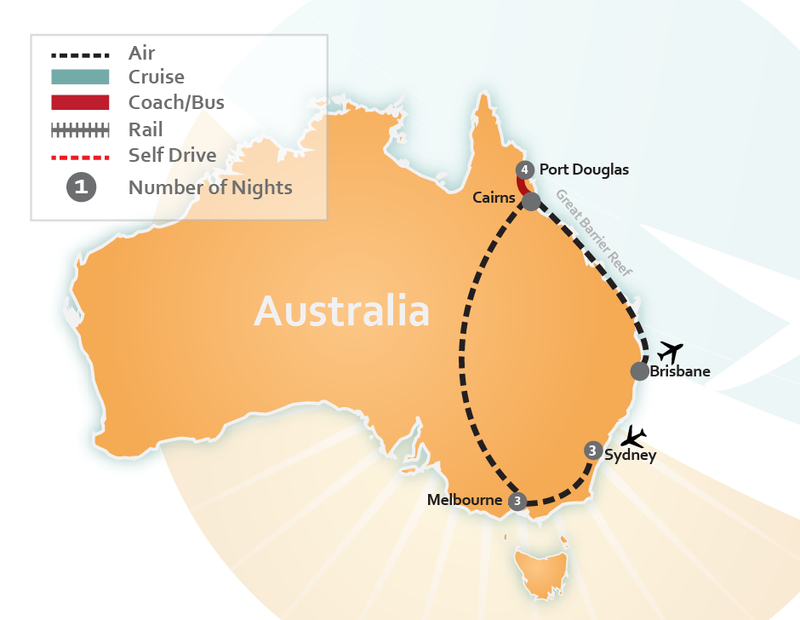 Travel Down Under and experience our unique Australian wildlife, the rugged Outback terrain, or our magnificent beaches and dive sites along the world heritage Great Barrier Reef. And those are just the obvious choices when you think of Australia. Explore the icons and tour the Sydney Opera House, maybe cuddle a Koala or snorkel the Great Barrier Reef. There’s so much more to see and do, it would take a lifetime to experience it all. But with our all-inclusive Australia vacations, you can enjoy the very best of this magical land. 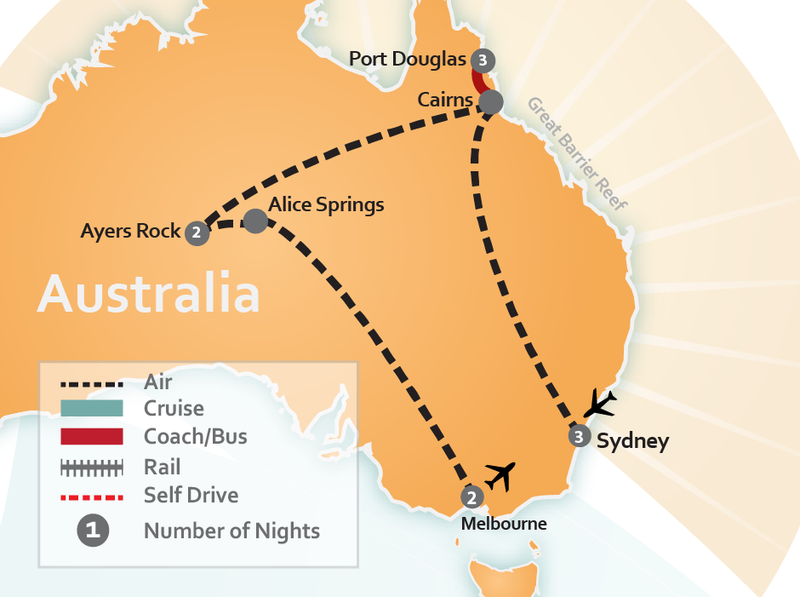 Why Choose an Australian Vacation? With stunning coasts boasting some of the world’s most famous and gorgeous beaches, you’ll find your own version of paradise Down Under. Get the iconic beach experience in Sydney at Bondi Beach, or relax in literal paradise on the pure white sands of unspoiled Whitehaven Beach, rated as one of the best beaches of the South Pacific. Get the bright turquoise water and white sand beach experience in Western Australia, known for their picture-perfect beauty. Or pick up a board and learn to surf with one of Australia’s renowned surfing schools along the Gold Coast – no experience necessary! Is your idea of a perfect vacation more about exploring some of the world’s best cities? Australia makes it easy – with three of the world’s best cities to live in 2018, you’ll discover the bustling city life of Australia’s iconic cities. 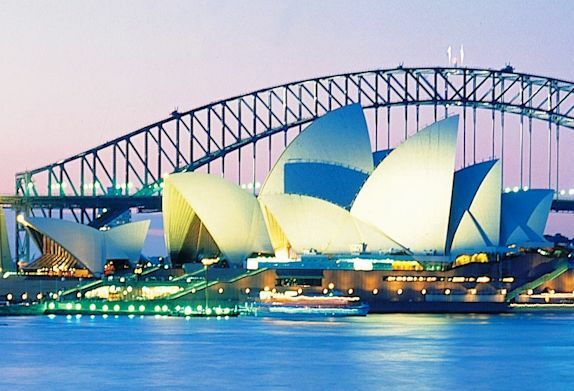 See Sydney’s world famous attractions, including the Sydney Opera House and its scenic harbor. Get lost exploring the tight laneways of Melbourne, Australia’s capital of art, music and food. 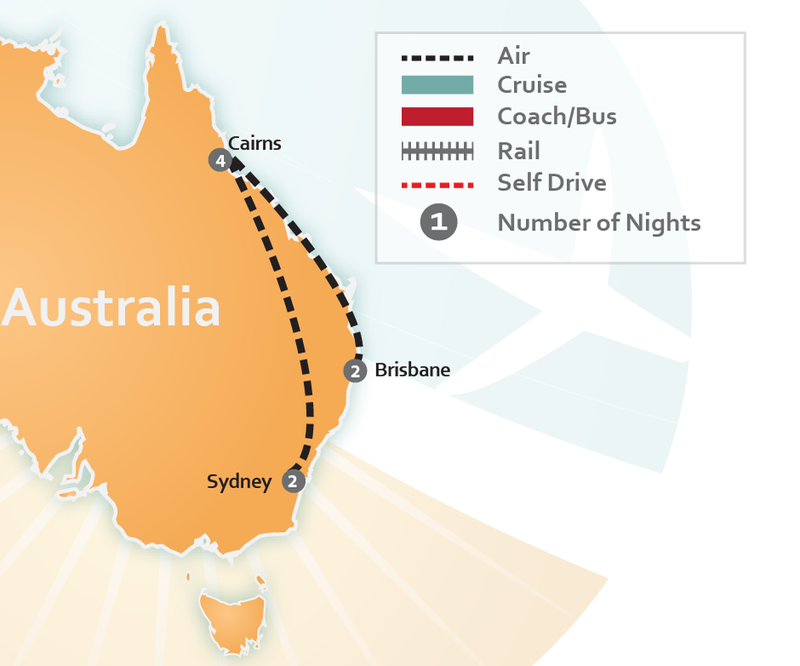 Want a true Aussie experience? Head to Adelaide, considered the most Australian city in the country, and get a taste of its growing food and wine scene in the delightful Barossa Valley. Australia is home to some of the world’s oldest and untouched landscapes. See the rich and diverse marine life of Great Barrier Reef. Explore the oldest rainforest in all the world – Daintree Rainforest in Queensland. Or tour the award-winning Jenolan Caves, the oldest caves in world. One of only two Everglades environments in the whole world may be found in Australia – the pristine Noosa Everglades. 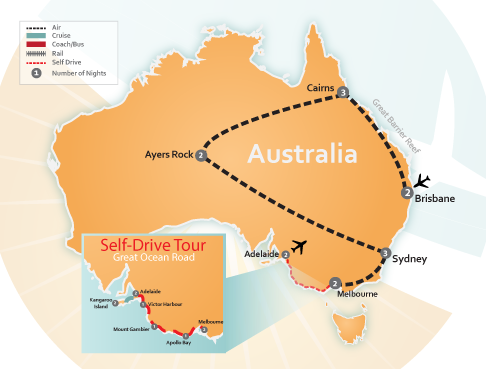 Go on a road trip so great it’s in the very name – the Great Ocean Road. 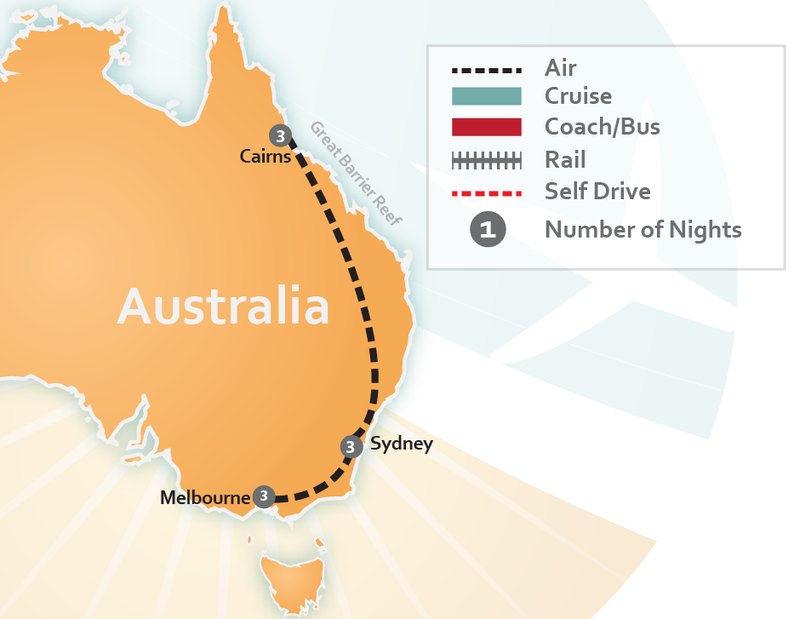 To experience the best of Australia travel on your own schedule, About Australia’s independent Australian vacation packages give you the flexibility to tour at your own pace. 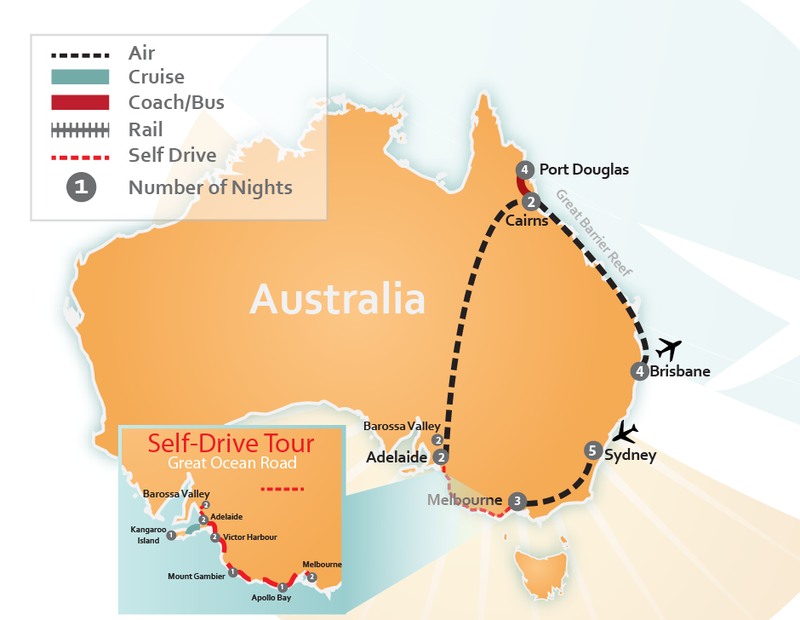 If you prefer to have a native Aussie guide your experience, take a look at one of our escorted Australia tours, filled with all the best things to do on an Australia trip. 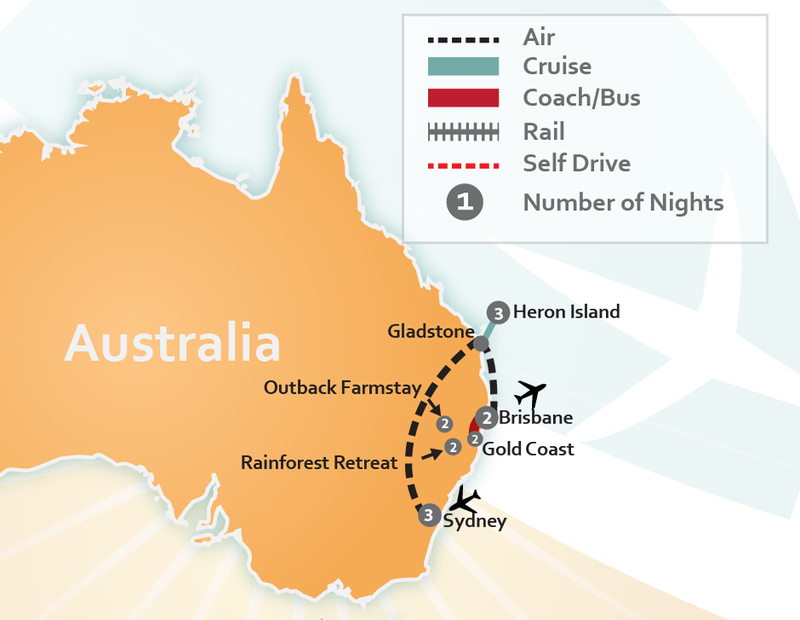 Or we can create your very own custom Australia vacation: just let us know what you’d like to do, and an About Australia travel agent will craft a package that’s just right for you. 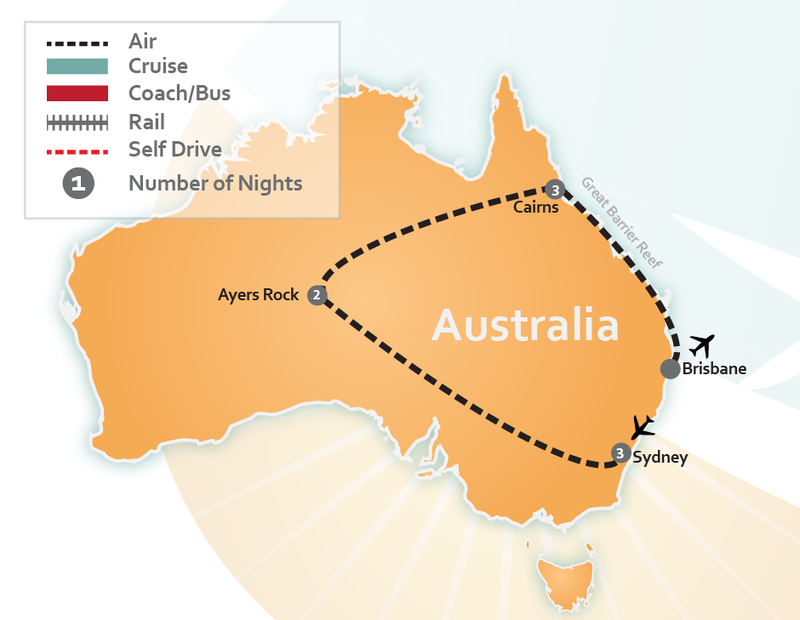 Newlyweds, take note: our friendly agents would love to help you plan a perfect Australia honeymoon. 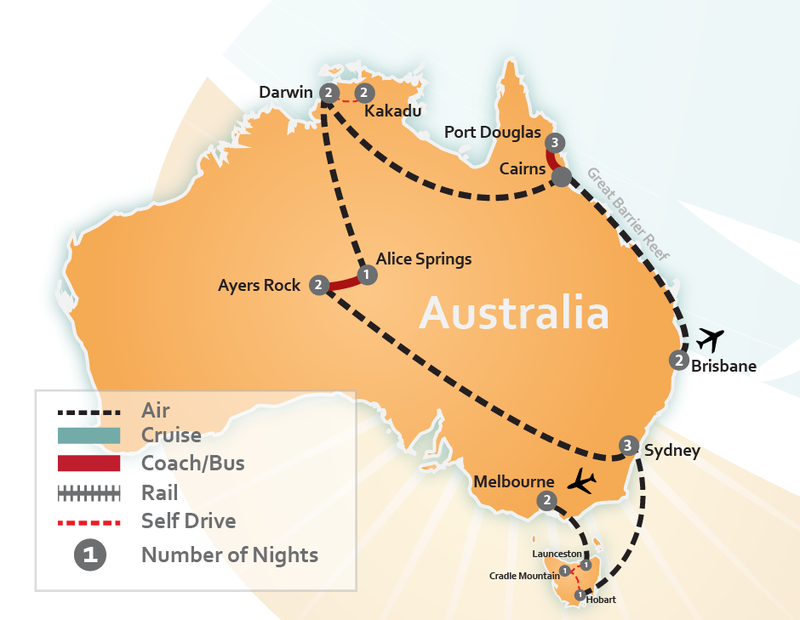 Whether you’ve dreamed of petting a kangaroo, hiking our famous national parks and rainforests, or diving into an underwater paradise, book your adventure Down Under with the Aussie natives of About Australia, and before you know it, you’ll be on an Australia vacation of a lifetime! 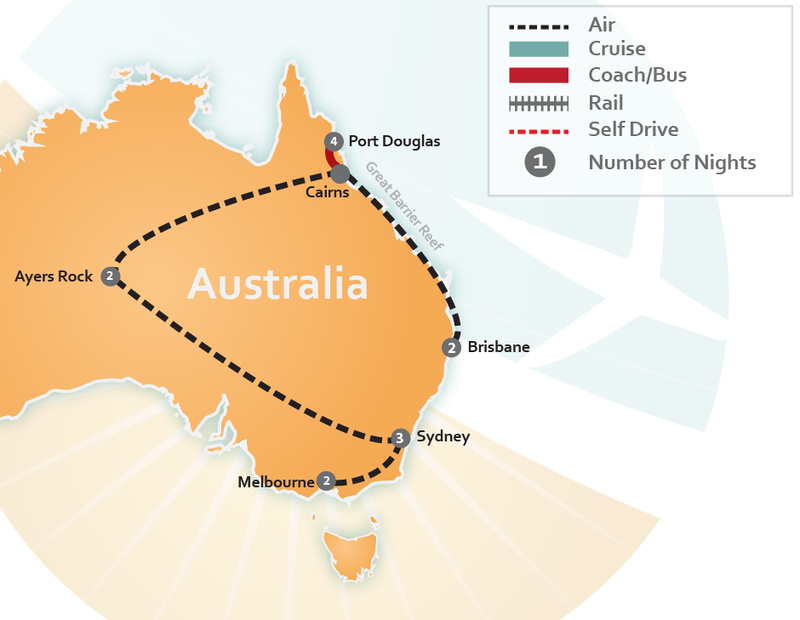 Also, check out our Australia Vacation Deals for vacations that are currently on sale. (...) My only recommendation for those using About Australia, thoroughly check and read all final documents including seat assignments on airlines. (...) our stay - our balcony was so beautiful - we loved our view so much! Cairns - loved our hotel and everything was in walk-able distance, we had an ocean view, sunrise was magical - wished we extended our stay and went with your recommendation to extend our trip for another night! Sydney - loved the city, lots to eat! We will def be back again and this time to see the other side of Australia! Cheers to Australia!